When children are sick, it derails your life. A couple weeks ago, my younger two children both had fever, a bad cough (the kind that keeps you up at night), and a runny nose. I spent most days lugging around eleven kilos either on my left hip or in front of my chest. We call these eleven kilos Lenny. When he was just lethargic, it was easier. As the week progressed, we were relieved that he was finally eating and drinking again, but it physically got harder. Whatever we tried to do, he wanted the opposite: sweater on, he fought against putting it on. Sleep sack off, he wanted to keep it on. And he thrashed his body around, throwing all of his weight against yours while squirming and resisting. Needless to say, I am exhausted. And with these two little people coughing on us all the time, it’s no wonder that my visiting parents and I all got sick too. We had so many great plans. To go out for lunch to a favorite Swabian restaurant in another village, to go shopping at the market, to cook and develop some recipes, and take lots of pictures for the blog. As said before, derailed. Soon after they arrived I became miserable with a sore throat, a very congested head and a throbbing ear that became an ear infection. Before my mother came for her visit though, I asked her what she wanted to eat. The only request she had was for German oxtail. I ordered it in advanced of her visit, but it wasn’t ready for slaughter until Thursday which meant pick up for Friday. That didn’t leave us enough time to prepare and eat it so I started making it on Saturday after she left. The timing was actually perfect. 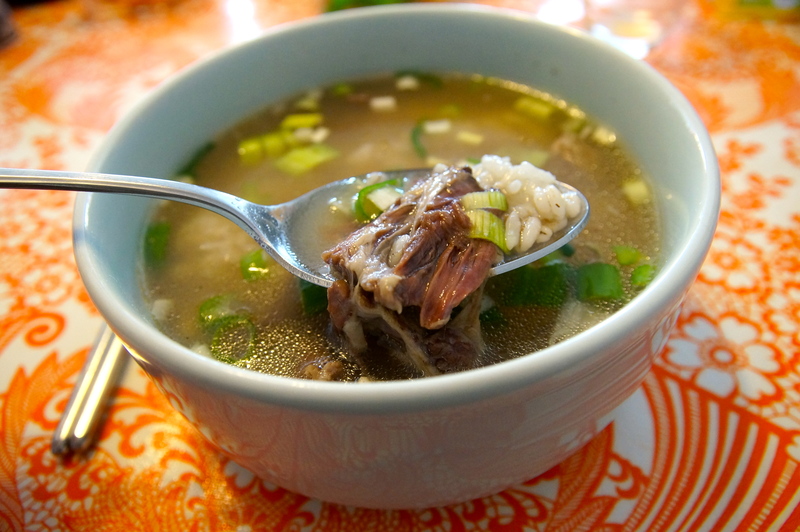 When I am feeling sick, my ultimate comfort food is ggori-gomtang or oxtail stew. Unfortunately, in my sickened state, I lacked the wherewithal to take the usual step by step photos. It was a spectacular sight to see my butcher go to the back of his shop and present me with the whole ox tail. It was nearly two feet long and he chopped it into 2.5-3 inch pieces for me. I promise — these pictures will come in the future. This is another fabulous advantage about living here in southern Germany. I can order fresh oxtail from my butcher and get the whole tail! And it has so much flavor! A few things I have learned: this is a winter dish. The tail gets fat and meaty in this time making a tastier stew. First, soak the oxtail for about 10 minutes in cold water. This is to remove the blood that emerges when you do this. You then discard the water. Much to my butcher’s disapproval, I use my pressure cooker. I fill the pot to the maximum fill line. If you go over, the pot will spit out water all over the place – a mess! Once I get to a comfortable high pressure boil, I let the pot do its work over for about 1.5 hours. I think that even one hour is sufficient if you are pressed for time. You need over a kilo of oxtail to get flavor. Then, I put the pot outside (since it is winter, and here in southern Germany, the outside temperature is often -4 degrees Celsius/31 degrees Fahrenheit). Why? This will make it easy to remove the fat. 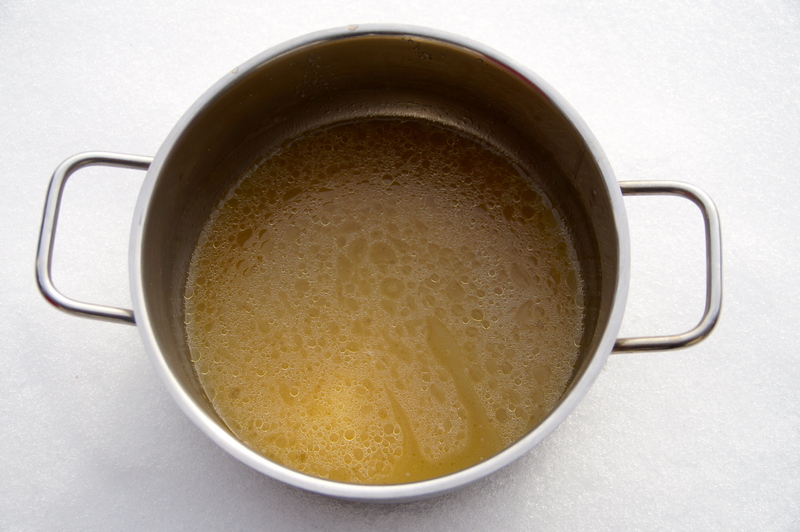 Think about when you are skimming off the large oily circles from the roast drippings to make your gravy. When those circles are cold, they solidify. 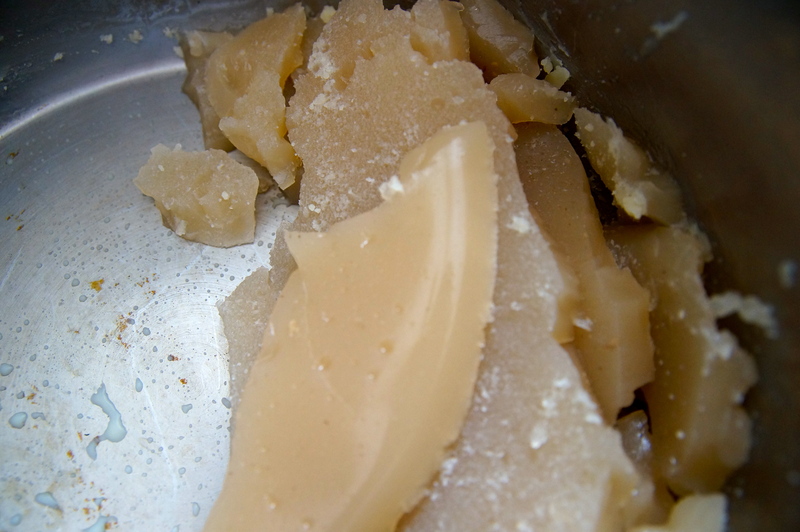 In ggori-gomtang, there is a lot of fat which you want to remove. A whole thick layer of it. Look at this picture. 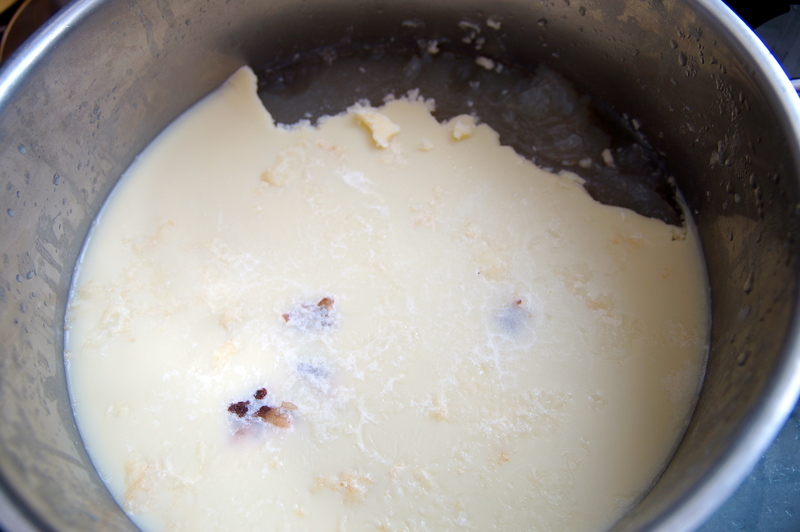 After removing all of this fat, you will remove the meat and bones. It is best to remove as much fat as possible from the meat and remove all of the meat from the bones. All of the bones will be placed back into a clean pot with any other extra soup bones that you requested from your butcher with five cups of water. 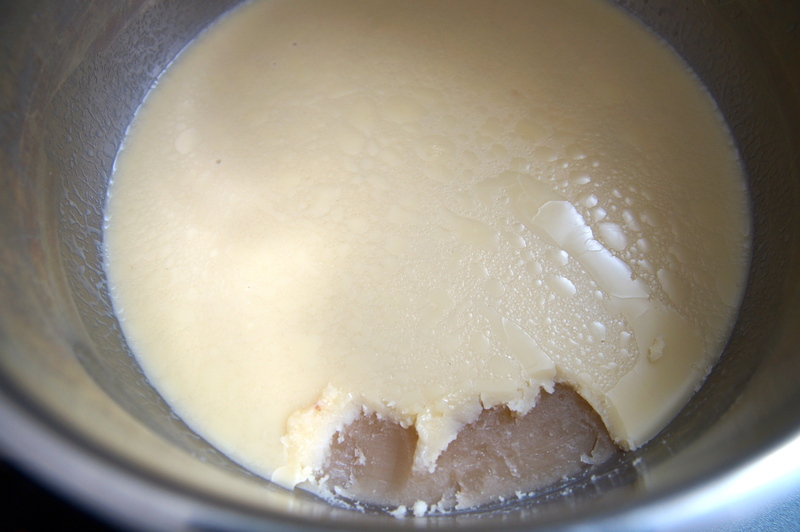 If you are not using a pressure cooker, you will need at least one hour to boil. You will then repeat the process. 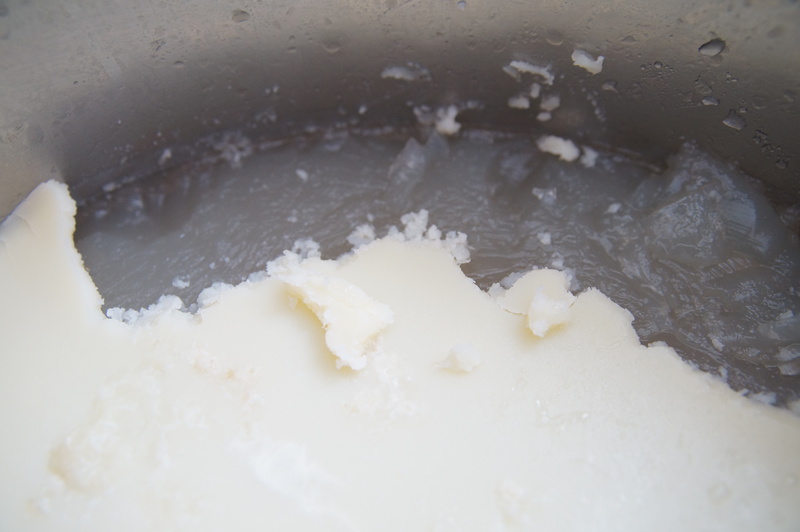 of placing the pot outside to more easily skim the solidified fat. Normally, this bone broth should be really white. I should have boiled it longer but I had to feed my sick body. But, you know what that white stuff is in the background? Yes, snow. So, I could move to the next step swiftly. And here is what it looks like underneath. Very gelatinous. 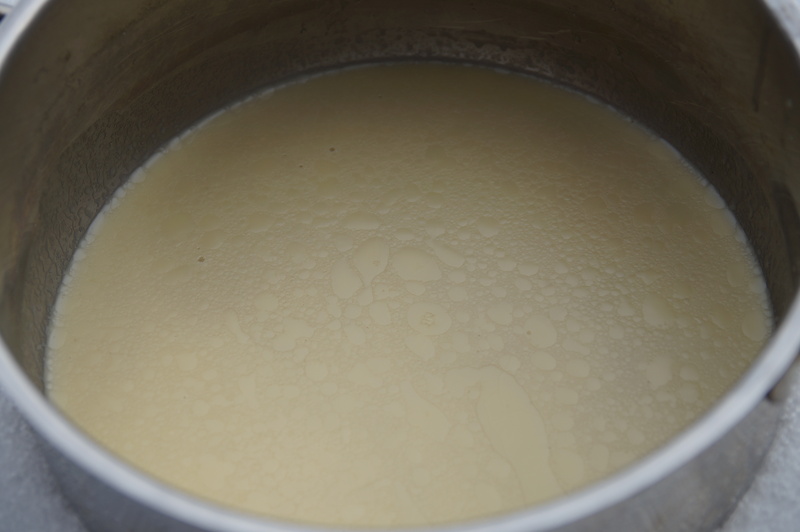 I combine the contents of both pots into a clean one big enough to hold all of the contents and bring to a boil. Serve the ggomtang with chopped spring onions, salt and pepper. Each person seasons according to preference. Ggagdugi (cubed radish kimchi) is the traditional kimchi to eat with this stew. When I am sick, I like to put my rice in the soup. The melt in your mouth tenderness of the meat and hot broth after hours of cooking is what I find so comforting. Combine it with the dulled crunch and bite of the spring onions and a bit of ggagdugi and it is winter perfection. And if you are sick like I was, gute Besserung! Tags: butcher, cooking Korean in Germany, ggagdugi, ggorigomtang, Jane, oxtail stew, pressure cooker, recipe. Bookmark the permalink. Hi! I really enjoyed this post and plan to try the recipe myself! I wish I had snow to quick-cool!